Emergency services in North America have relied on the use of audio calls to the phone number, 9-1-1, since the late 1960s. In the coming years, 9-1-1 services will move to integrate media-rich calling capabilities such as video-based calling. This study explores how such services should be designed through an interview study with people who have called 9-1-1 in the past. In North America, when an emergency situation arises that requires police officers, ambulance services, or firefighters, citizens are able to dial the number 9-1-1 and speak to a call taker who will dispatch the appropriate responder. In the next few years within Canada, such services will begin moving to Next Generation 9-1-1 (NG911), which will allow citizens to use more advanced technologies such as text messaging, video calling, or the sharing of photos or videos. The challenge is that there has been little investigation into how such services should be designed and how they should fit within typical situations involving calls to 9-1-1. We explore this topic through an exploration of video calling from the perspective of everyday people who might call 9-1-1 to report an emergency and seek help. We conducted interviews with 17 people who had previously called 9-1-1 in urban areas. We conducted semi-structured interviews with each participant. We structured the interview in two phases. The first phase of the interview focused on understanding their experiences with calling 9-1-1, asking them to give us a play-by-play of their situation and conversation with 9-1-1 call takers. The second phase of the interview focused specifically on the future use of 9-1-1 video calling for emergency situations. To ground participants’ responses and reduce the need for them to speculate about general situations, we asked them to think specifically about their previous 9-1-1 call. 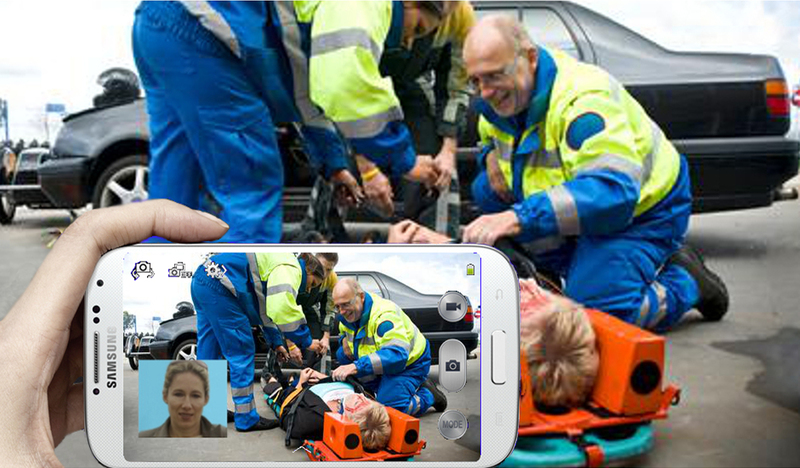 Our results illustrate that video calling for emergency situations can provide a number of benefits to callers, including the ability to show rather than tell call takers about a situation. 9-1-1 video calling is best thought of as a collaborative act between callers and call takers where callers want to largely give up decision-making control of what information to share. Instead, they want camera work—the continual efforts needed to properly orient a mobile device’s camera to share a certain view to be controlled by the call taker. Yet callers are actively concerned about what may be shown on camera and how this will affect emergency response. Video calling raises issues around anonymity of the caller, consent of the people being captured, and biases that might emerge around ethnicity or gender if a caller or victim can be seen. There is also the potential for self-censorship of what is captured by the caller. These issues illustrate that designing 9-1-1 video calling systems requires careful design considerations to balance the needs of callers and information acquisition. Our study provides details of how 9-1-1 callers experienced calls during emergency situations and their perceived benefits and challenges of video calling for similar situations. These results point to a wealth of design opportunities to explore for the creation of video-based 9-1- 1 calling solutions. This relates to systems for both callers and call takers of 9-1-1 calls where our results shed light on design implications for these systems. Our work helps to open up a rich design space that is vastly untapped and of critical importance. With countries like Canada already creating policies around next generation emergency calling services, it is critical that we continue to understand how these services should be designed and what the likely user experience will be. Our work was specifically scoped to explore the experiences and needs of 9-1-1 callers. Future work should explore the perspectives of 9-1-1 call takers and dispatchers as their perspective and needs are critical for the design of effective solutions.